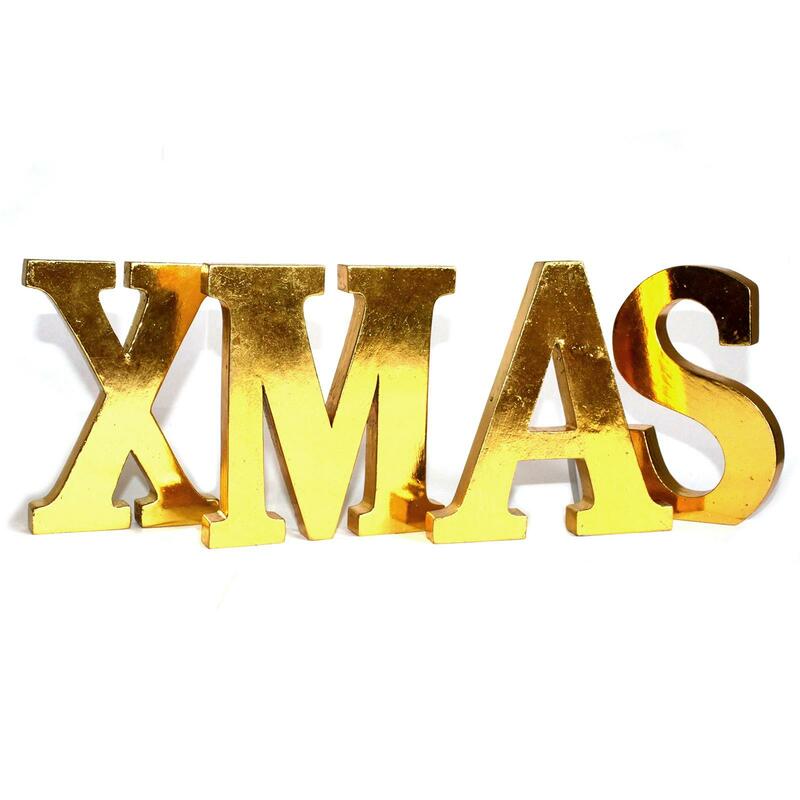 With these unique fillable Christmas baubles you'll be the envy of your neighbours at Christmas time. Boozy Baubles® put you in complete control of the alcohol that goes on your tree. You're not restricted to one brand and can select exactly what you and your family and friends want to drink. 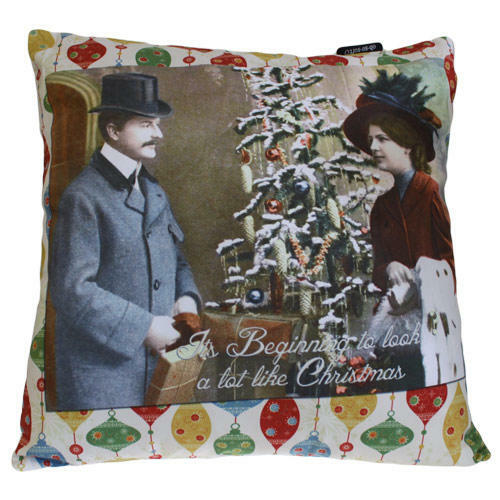 Create gin, vodka, rum and whisky filled baubles, or something softer for the kids, and hang them on your tree this year. Just make sure you drink them before Santa does! 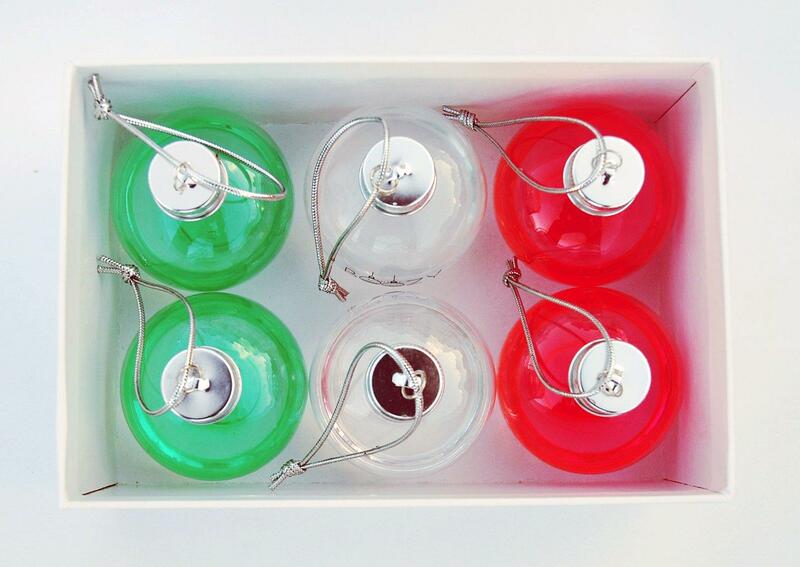 Each pack contains six reusable plastic Boozy Baubles®. Each has a resealable screw cap and silver hang tie and are ready to be filled and hung from your tree. 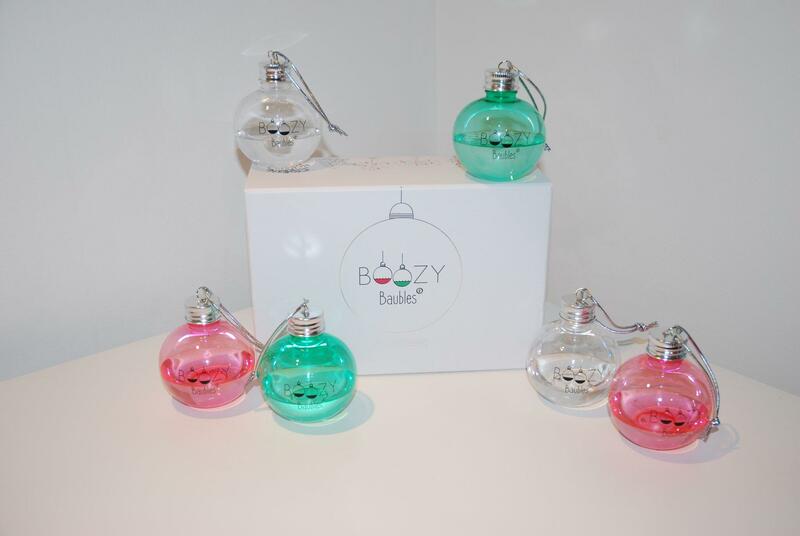 Boozy Baubles® are delivered in a durable gift box making them easy to store for reuse every year. To use, simply unscrew the cap, fill with your choice of liquid, reseal and hang from your tree, or give to friends and share some of the Christmas spirit(s). Boozy Baubles® are fully reusable. Wash in warm water, dry thoroughly and store in a cool, dry place. Please drink and decorate sensibly and fill responsibly. 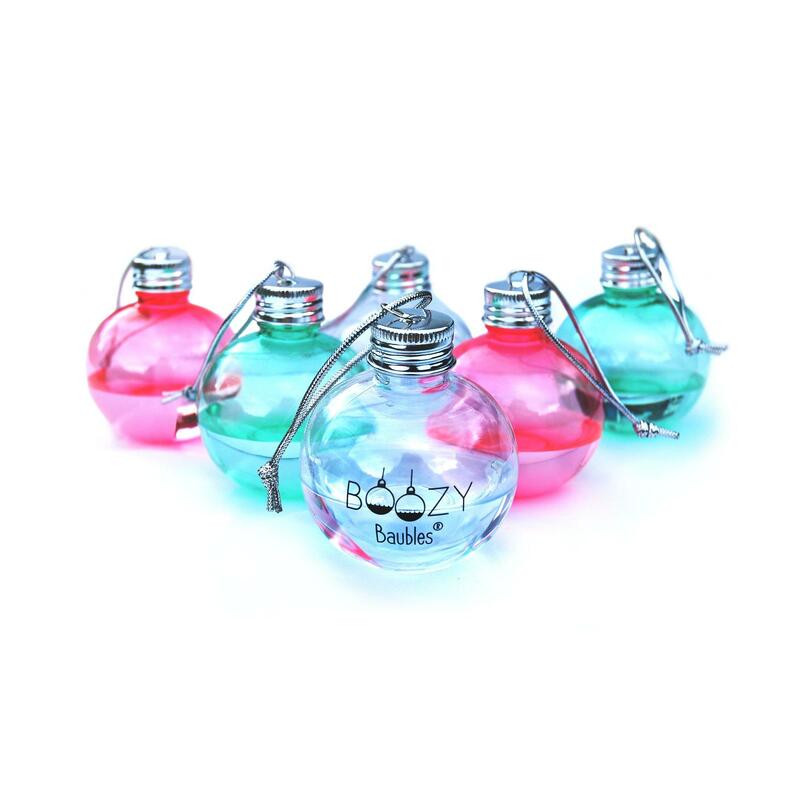 Each bauble can hold up to 150ml of liquid but we recommend only adding 50ml. 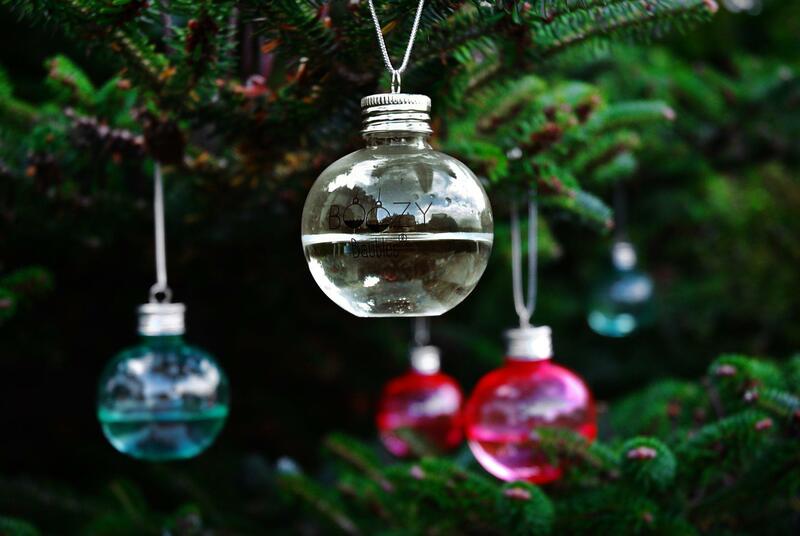 Don't hang your alcohol filled Boozy Baubles® where children or animals can reach them. Don't give alcohol filled baubles as a gift to anyone under the age of 18. This is not a toy. Please note: To order two packs, do not use the quantity box or the postage will double. Instead, choose from the drop down menu and pay the same postage charge of £3 as paying for one pack. The quantity box can then be used in multiples of 2 packs but the postage will increase with bulk.